Karina's Kreations: Buffalo Check and Wishing You Well card! Buffalo Check and Wishing You Well card! I played with the Buffalo Check stamp set again today. 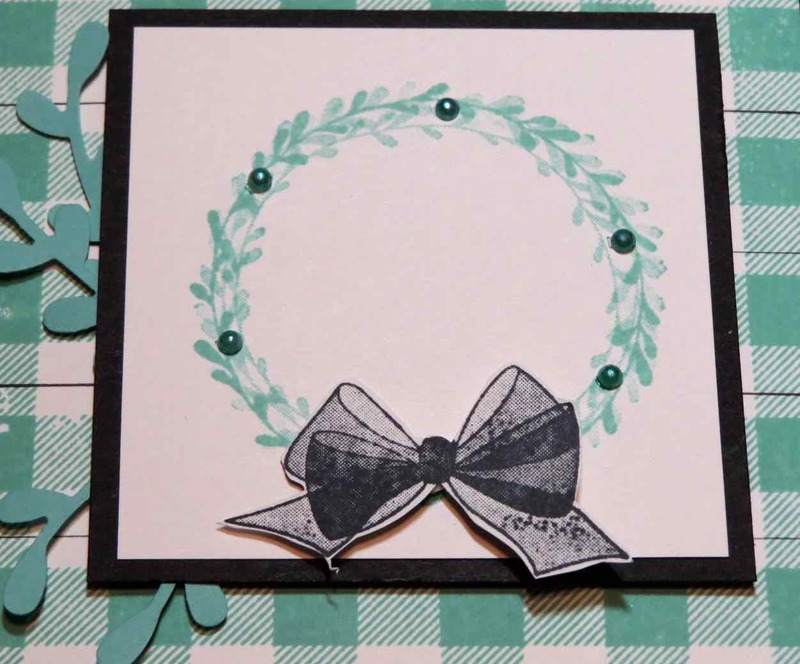 TIP: This time I inked it up with Costal Cabana ink and used a Black Stampin' Write marker and a ruler to draw lines across the card stock. What do think? Do you like it? I think it adds another dimension the the background. I paired this stamp set with the Wishing You Well stamp set. It's a distinkive stamp set meaning it looks real and not just a stamped image. I added some Costal Cabana Sprigs punched out with the Sprig Punch to the back of my image. Here's the supply list of you wanted to place an online order.